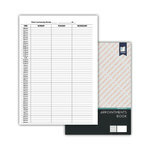 The Appointments Book is a journal with the purpose of register the tasks and meetings for each day and hour. 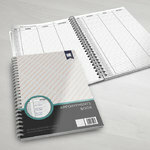 The Book accommodates 52 lines for a 15 min time and features space for each day week (Monday to Saturday). The Appointments Book is in A4 size with 120 pages and a unique lay flat binding finish, easy for writing across two pages and allows book to stay flat. 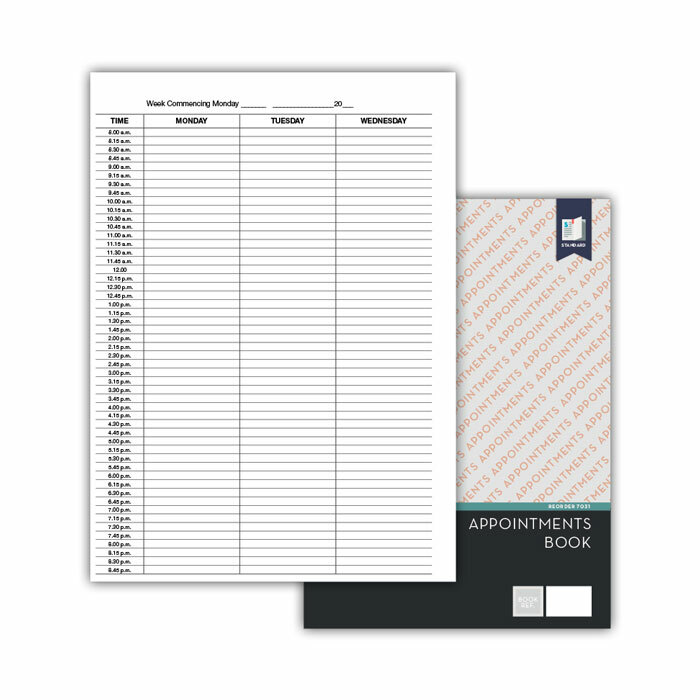 The Appointments Book is printed on high quality and with the finest material and finishing.